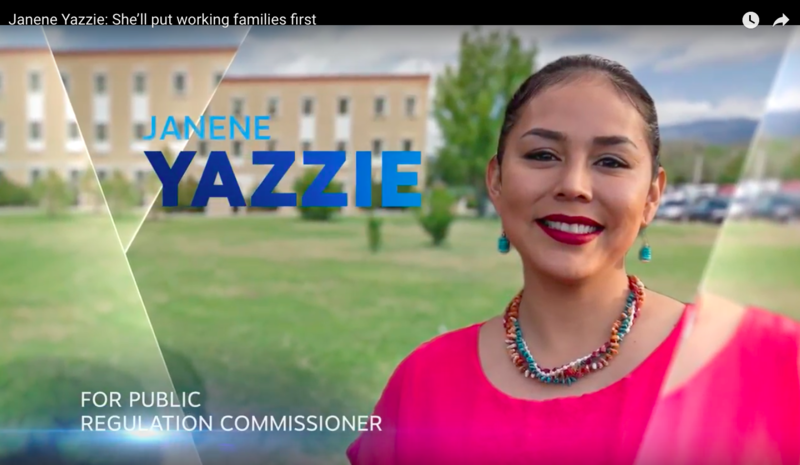 This television ad in support of Janene Yazzie starts off by highliting Yazzie's work as a human rights advocate and community organizer. The ad says she will promote renewable energy and government transparency to protect the public. It also says she will "put New Mexico's working families first."